I am wincing and biting my bottom lip a bit as I mention this book. It is amazing... inspiring... horrific... and incredible all in one. It is based on the incredible true story of Pino Lella who is a Italian teenager at the start of World War II and becomes a hero in helping Jews escape over the Alps. I don't even know where to start in describing this book, but as the author mentions the story came to him in one of the darkest times in his life and it had a profound impact on his personal life... I walked away feeling the exact same way. As a disclaimer... parts of this book are incredibly difficult in showing the horrific capacity that we as human can do to each other. But in that horror... courage finds a way to come out. Truly amazing. You can find the book HERE. I have shared here on the blog before that I make a point to read this book every summer. 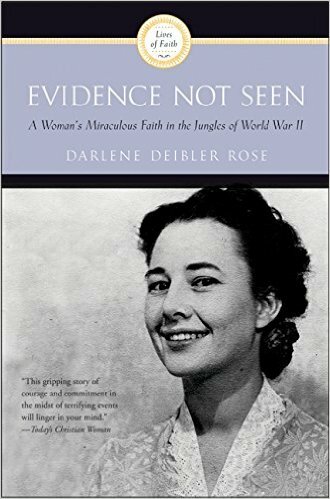 Evidence Not Seen tells the story of Darlene who was a young newlywed in the pre-World War II era and her experience as a missionary in the jungles of New Guinea and then her four years in a Japanese prisoner of war camp. The title of this book is perfect because she truly is honest in her experience of the way that the Lord often appeared silent but His hand was continuously orchestrating protection over her each and every day, providing "evidence not seen". There are so many nuggets of truth and encouragement that I have walked away from after reading this book. Each time I do I am struck again by this woman's faith in God despite her horrific circumstances. You can find the book HERE. I shared about my friend, Jill's new book, The Rancher's Surprise Daughter which released earlier this summer. 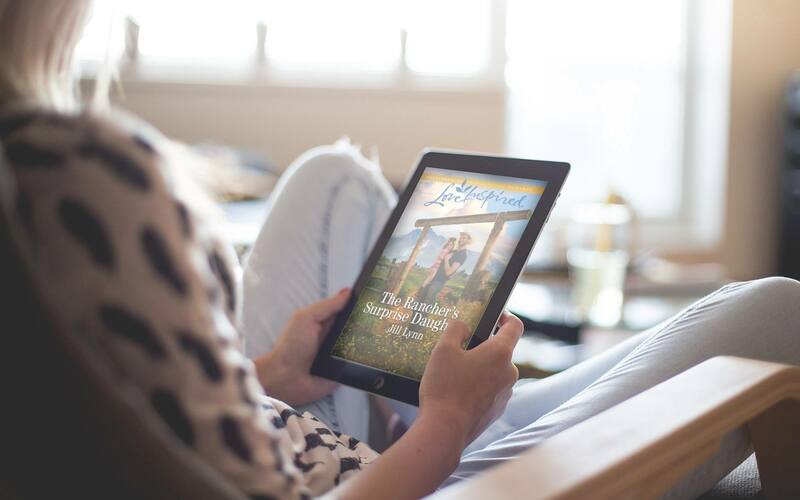 The Rancher's Surprise Daughter tells the story of Luc and Cate who are re-connected when Cate shows up at Luc's Colorado guest ranch and introduces him to his three-year-old daughter. I think one of the things that was my favorite about this book (and I don't want to give to much away if you haven't read it yet!) was the character development of two flawed people learning to trust and love each other in a unique and unconditional way. I walked away personally encouraged and enjoyed how it is so sweetly written! You can find it HERE! I mentioned this earlier this year, but one of my goals this year was to branch out and find some new favorite classic authors. Haha. Honestly, with all of the other books that I was reading this summer I ended up reverting back to some of my favorite classics and other books I enjoy, just re-reading them. This fall I am planning on tackling a few new ones! I can't wait to share! Blogging is such a unique working environment and adventure... I wrote that and just shook my head with a soft smile on my face. As I am approaching my 6th year anniversary of staring this blog, I know that so many people are often confused at exactly what a full-time blogger does. I think most people think (a) we sit around in our pajamas eating ice cream in front of TV typing out a few words and calling it a day or (b) we travel for fun and it isn't much work or (c) really believe that blogging should not be considered a "full-time job". I am sure that there may be these elements for certain bloggers, but definitely not for me and not for the amazing bloggers I know and support. I addressed this topic in depth on the blog this summer- the question of: "What Does it Mean and Look like to Work as a Full-Time Blogger?" which you can read HERE. For this road trip that we were taking we were going to be spending the most time in this area so this definitely became one of the most used books that I referred to and consulted for these areas as far as travel books are concerned. Also- this is the only guidebook for these specific areas, so if you are taking a trip here than you will definitely want to get this! You can purchase the book HERE. I came across this book in antique bookstore in the early summer, shortly after I had made the decision to take the writing trip. 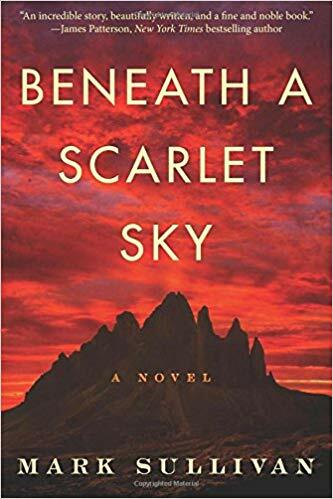 Being a former teacher, I love stories of teachers in different areas, so the name and the setting were very intriguing to me and I loved the book. 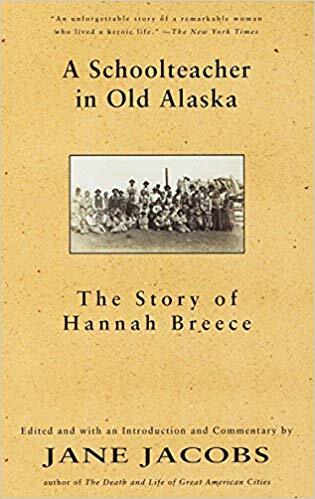 For those that may be interested, the book is a true story of Hannah Breece who came to Alaska in 1904. The New York times said it is: "An unforgettable...story of a remarkable woman who lived a heroic life" and I would definitely agree. If you are interested in the book you can find it for less than $6 HERE. Some of you are already smiling. You know that I couldn't include a list of books without listing one that included the time frame of World War II. 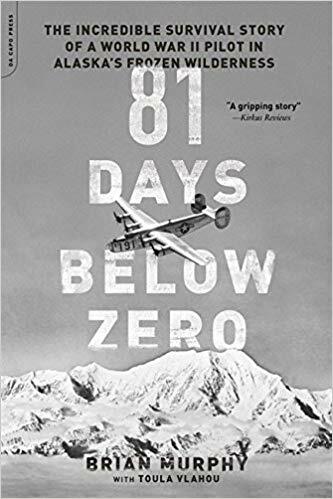 This book is an amazing story of a World War II pilot that survives in the Alaskan Frozen Wilderness. As a brief synopsis this book tells the story of 5 army aviators who went out on a routine flight to test their plane shortly before Christmas in 1943. Unfortunately the mission ended in a crash and only one person survived. Leon Crane, the survivor, had all of the odds stacked against him in order to survive, as he was a city kid from Philadelphia and had no wilderness experience at all. With only a parachute for cover and an old Boy scout knife, this book tells the story of his remarkable 12 weeks saga to survive. It is an amazing tale of survival and I definitely recommend it y'all. You can find it on Amazon to purchase HERE. 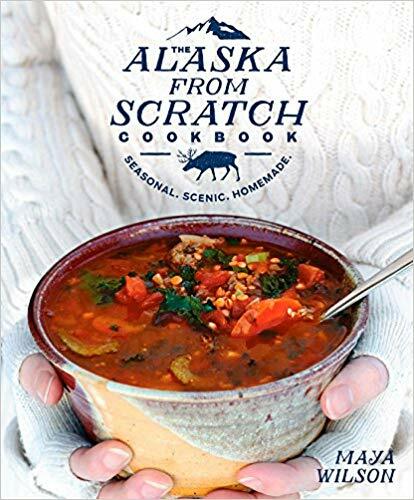 Maya Wilson, the author of the cookbook and the author behind the blog, Alaska from Scratch, shares over 75 delicious and family-friendly recipes in her book, The Alaska From Scratch Cookbook. Her photography is stunning and when I found her blog before the trip, I was absolutely enthralled. She seriously is amazing and I think I follow her on all of her social media sites - hahaha. She writes for several different places and she's inspiring and her story of how she ended up in Alaska is just so cool. You can read about it on her blog HERE. As a fellow blogger and author I love seeing when people branch out from their blog and turn their talent of writing into a book so that even more people have the opportunity to read their words. And when it is a cookbook it is a dream... hahaha. Some of you are shaking your heads smiling because you know that I just love books. And Y'all know I love cooking and cookbooks. *smiles*. But seriously... this one is a keeper and one that is a treasure no matter where you live. You will definitely want to add this to your bookshelf for before your trip and after wards. It is wonderful. This book was one of my favorite finds in researching and I can't recommend it enough. It would also make a wonderful gift as the holidays approach. You can find the book to purchase HERE. 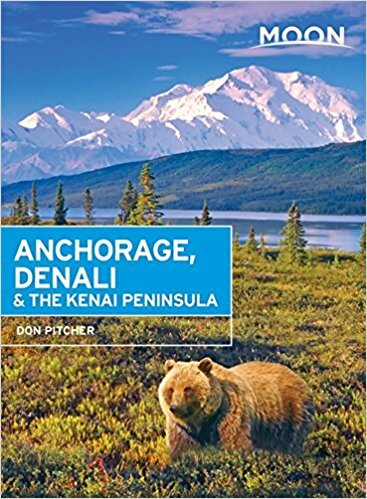 I came across this book in researching for the trip and looking up stories of those who had moved to Alaska and bought it kind of on a whim. It's a bit random for a road trip, but I included it in this honorable mention list, as reading it truly gave me a picture of what moving to a rural part of Alaska would entail and my adventuring heart was curious. I read it very intrigued and then driving on the Denali Highway I found myself laughing and smiling remembering somethings that the author shared. If you are going to be traveling to any remote place on your road trip, this book is honestly an excellent picture of what those who live there encounter. Definitely worth the read, I am sure y'all will love it as much as I did! You can find it HERE. 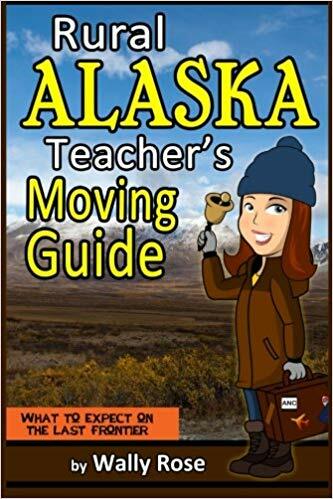 Again, if you are interested in seeing more suggestions I have for a road trip through Alaska, you can find my post, Best Alaska Books to Purchase for your Alaskan Road Trip: From Culture to History to Travel by clicking HERE! 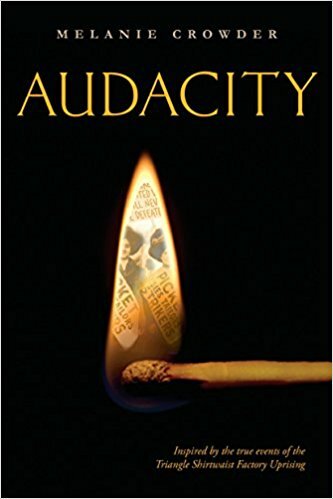 Published in 2016, Audacity tells the inspiring story of Clara Lemlich, a young woman who emigrated from Russia to New York at the turn of the 20th century and whose fight for equal rights led to the largest strike by women in American history. I hate to say this but while I felt that the book has incredible merits for this era in history... it definitely was not one of my favorites. I know many people love this book, but it just was not one of those books (in my opinion) that I would read again. If you are interested in the book you can purchase Audacity where books are sold and on Amazon by clicking HERE. I am not going to share to many details of the next two books since we are in the middle of reading them for September's Book of the Month Club and there is still time to join in! You can find out more HERE! Rilla of Ingleside, the 8th book in the popular "Anne of Green Gables" series tells the story of Anne's 14-year old daughter, Rilla. During this sweet coming of age book, Rilla dreams of her first dance and hoping for her first kiss but her life is disrupted and changed when her brother's go leave to fight in the "Great War". Originally published in 1921, L.M. Montgomery brings to light the way the war shaped and affected family members during this time. 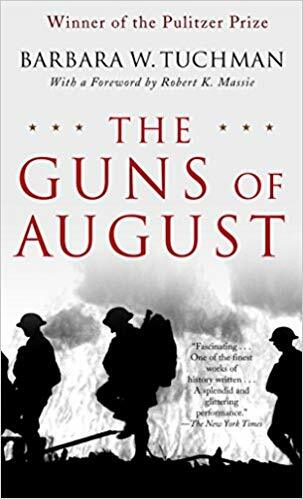 The Guns of August, a Pulitzer Prize-winning book, by Barbara W. Tuchman, tells the story of the first month of World War I. Weaving historical details and characters, Tuchman shares the importance of the first 30 days of the summer of 1914 that will determine the course of the war. 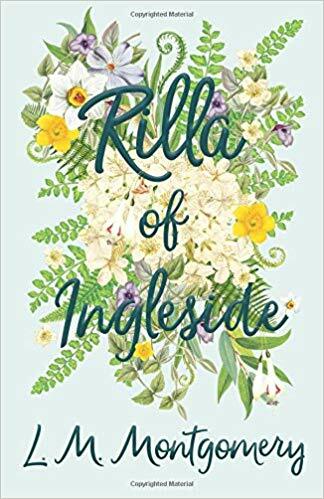 You can purchase Rilla of Ingleside or The Guns of August, where books are sold and on Amazon by clicking HERE(for Rilla of Ingleside) or HERE (for The Guns of August). I actually picked up this book to read for the Etsy shop in the Spring and then realized it would also be amazing for TWL so I read it again this summer. 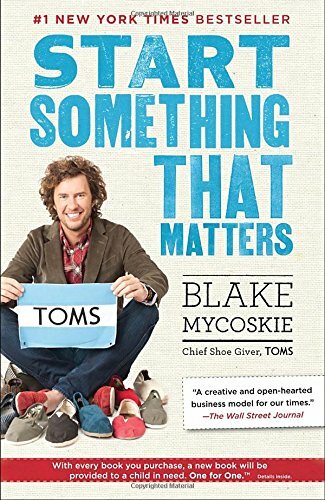 If you are starting something that you want to last and to make a difference then this book has a lot of awesome ideas to consider and implement. Over the years I have admired the work that TOMS has done and have been inspired by the way that it has given back to so many people in need. You can find it HERE. 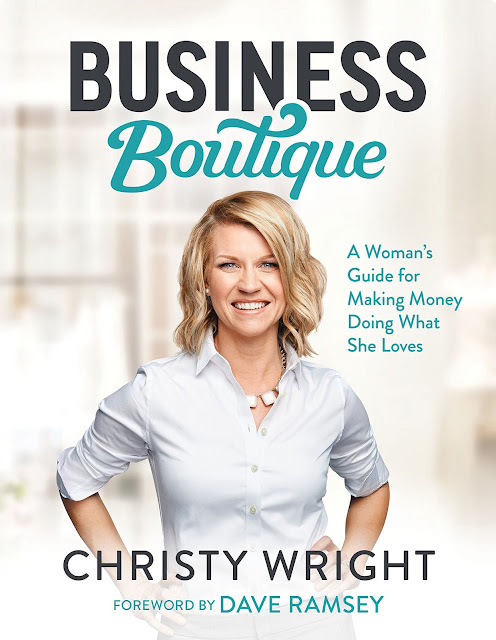 This first book, Business Boutique, is one that I saw on a friend's instagram feed that I decided to check out. I am honestly still making my way through it because there is a ton of helpful and practical advice. If you are looking at becoming any type of entrepreneur than this book is chocked full of helpful tips and wisdom that you will want to explore. Honestly, this is a book that I will be referring back to often it is really wonderful! You can find it HERE! I shared this in the spring, but I was still working my way through the stories of this book throughout this summer. 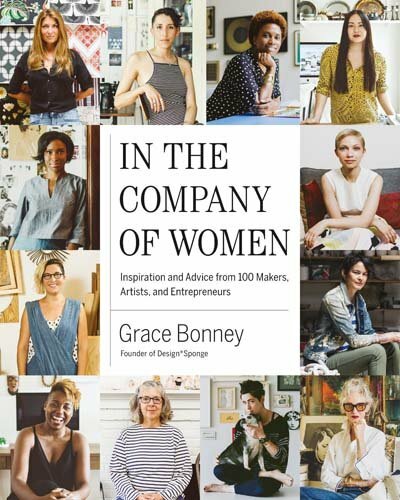 I love reading the stories of women who have created different artistic entrepreneur ventures and the way that they have come to these places. I came across this book, In the Company of Women, in the clearance section of TJ Maxx a while back and was inspired. There are so many different women doing so many amazing things that it has been inspiring to read through. You can find it on Amazon HERE and if you order today it is FREE on Kindle! Okay- that was a lot! I am so curious - did y'all read any good books this summer that you would recommend? I am looking for suggestions for the fall and would love to hear your thoughts!